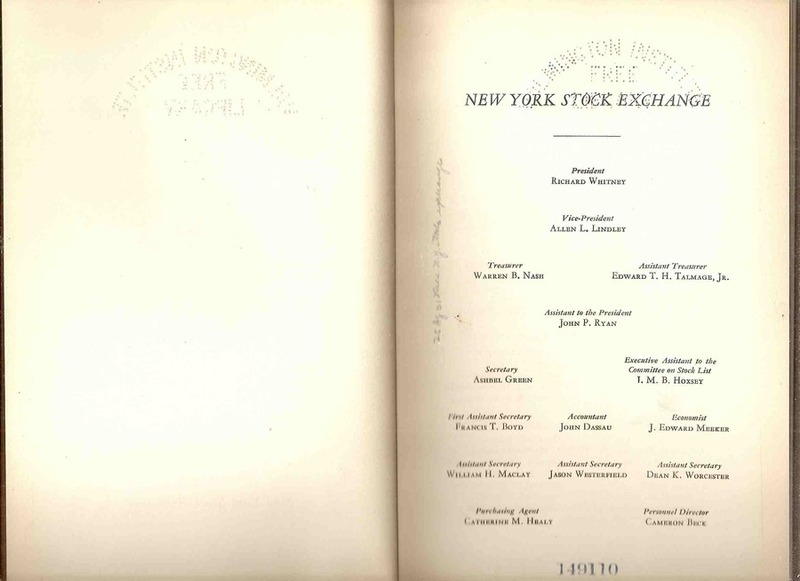 New York Stock Exchange Report of the President: May 1st, 1930 to May 1st, 1931 - IFA Vintage and Current Book Library - Index Fund Advisors, Inc.
An extremely scarce (1931) publication of "NEW YORK STOCK EXCHANGE, REPORT OF THE PRESIDENT MAY 1st, 1930 to MAY 1st, 1931." 93 pages in length. Ex-libris with usual library markings including stampings, bookplate, and end card pocket. Overall, in FINE condition with slight to no wear. Binding is tight to the spine. Exterior cover lists book title on the front cover. Interior pages are in PRISTINE condition, very sharp and clean in character. No rips, tears or writing to interior pages. 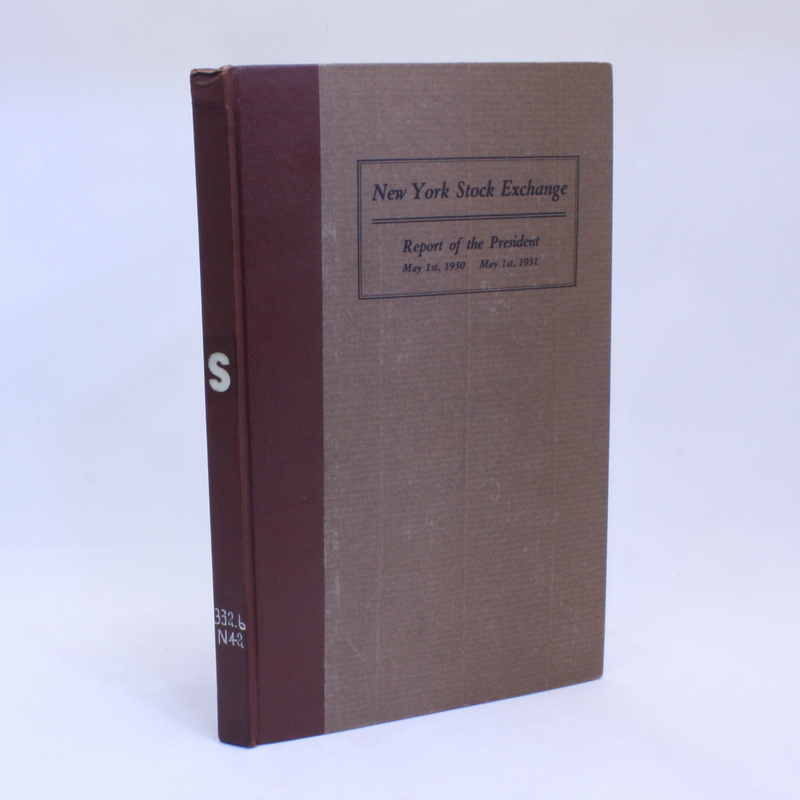 A extremely scarce and valuable publication in remarkable shape. 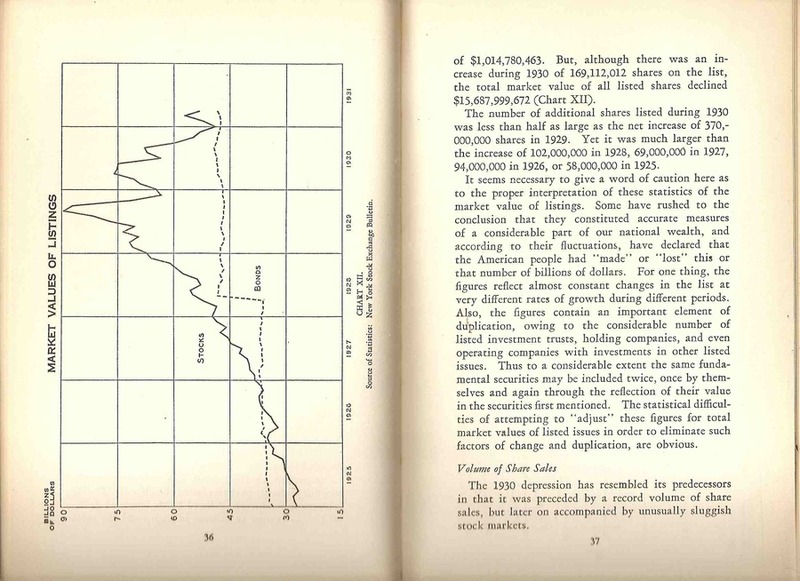 Published 1 year and 7 months after the Great Depression Crash of October, 1929. A very collectible and extremely scarce title.